A light show is a popular form of entertainment that mainly comprises of uniformly altering patterns of vibrant lights and colors. it is usually accompanied by great music and sound effects, making it one of the most favorite forms of enjoyment by a lot of people. You can have light shows on various occasions and events such as birthday parties, anniversaries, Christmas parties, children’s parties, and a whole lot more. Were your kids ever given the chance to see a light show? Did they ever wish to have their own vibrant and colorful display? If the answer is yes, don’t worry because you can easily start a light show for your kids, and here are a few steps on how to go on about this. You will only need a few things for your kids’ light show: a stereo system, a CD containing the playlist for your show, a few Gorgeous Spinning Light Show toys, and of course, people who will use these toys to bring the light show to life. For you to be able to see all the vibrant and beautiful lights clearly, you will need to turn off all the lights to see all the different patterns and colors in the dark, unless this party will be located outdoors, at night. Choose your music then turn your stereo on then once your music plays, start spinning the Gorgeous Spinning Light Show toys and let the fun begin. 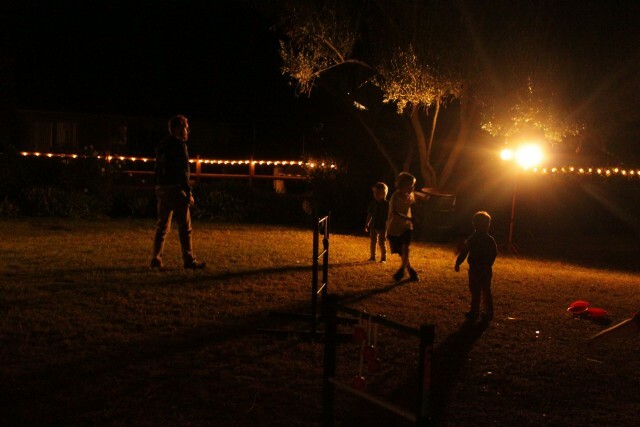 Your kids and their guests can enjoy the fun and exciting display of lights as they spin along with the beat of the music while everyone enjoys each other’s company. The Gorgeous Spinning Light Show is a very convenient and easy to use LED-lit toy that lets you, and even your kids, create fun and stunning light shows that you will never get tired of. Just swing the two strings then apply enough tension or let is slack to create continuous and nonstop movements of stunning multi-colored shapes from flywheels, rings, eight-figures, and a whole lot more.